I am trying to cut down on paper use in everyday life. I store all of my documents and photos on a hard drive and back them up to DVD. I never print emails and don't even have a printer installed on my little Eee PC. My calendar and contacts are online and synched between a couple of devices. Gone are the DVDs - I now backup to two external Drives. But what of my Genealogy hobby? I have a bookshelf full of folders with bits of paper I have collected over the years and I am wondering how much of this stuff is essential. I must go through the folders and prune down the contents. I will keep primary documents and copies of certificates but will scan anything else I need to keep. My intentions are good but I am still trying to tame the paper monster. Now I always save new documents in soft copy and only keep hard copies of those certificates etc. I still have to go through the folders and have a scanning blitz. I now have a family of scanners that I use for different types of document. In the future: I guess that's now. * When visiting repositories I will eschew the photocopiers and microfilm printers. I will use a USB flash drive to save data where possible on reader/printers, I will use the digital camera I have in my handbag to take digital images (on a high resolution) of book and journal pages and microfilm printer screens. And if they let me I use my Flip-Pal scanner. * I will resist printing out reports that others send me. I do find it hard to transcribe details and continually change windows when transcribing details from databases on one computer. I now set up two laptops and use one for viewing/browsing and one for data entry. I get an A+ here but I usually now use one laptop with my large monitor attached. * I won't print off hard copy backups of genealogy reports. I will save these to an offsite location. An easy way to do this is to attach documents to an email and send them to a web-based email account like Gmail. Another A+ here but I just save the docs to the two hard drives. I can't afford the subscription to save everything to a cloud service. Maybe I'll even save a tree. I'm interested in tips from Greenie Genies. I'm not perfect but feel that I am well on the way to earning my stripes as a Greenie Genie. Remembering the talk given at the NSW State Conference in Canberra last year by Martin Woods, the Curator of Maps from The National Library of Australia, I thought I'd see what maps I could find on Trove for some of the country towns in which my ancestors lived. In framing my search I selected Maps from the menu and then ticked Online and Australian Content. I didn't find anything of interest in my searches for Cobar and Canowindra but I struck gold with a search for Dungog the town where my grandmother, Mary Tierney, was born. I found two mapas of the town available online, one from 1928 and one from 1866. On both of these maps I found the land on which the family lived on the corner of Mackay and Windeyer Streets marked with the name of my great-great-grandfather, Denis Tierney. Althougth I had other evidence to show that the property belonged to the family these maps provide another source for that fact. Although Denis died in 1894 the property is still labelled as belonging to him in 1928. Having read Denis' will and noting that probate wasn't granted until 1932 I know this is correct. I checked the copyright status of these maps on their records in the Trove Catalogue. As they may be subject to copyright I have not pasted images of the maps into this post but I will certainly reference them in my family history database. My rule for copying images is "When in doubt don't". We sometimes forget that the Treasure in Trove extends beyond its newspaper collection. Sitting at the computer today updating my Geneagoogling: Effective Google Searching presentation for my gig at The Parramatta Family History Group Meeting on Saturday has made me play around with Google. I included a couple of slides on the newly reborn Google News Archive Search and then thought I should explore Google Voice Search. Now I thought this would be a bit gimmicky but decided to put it through its paces - I am in awe. I usually don't go to the Google search page to carry out my searches I search by entering my query in the Chrome address bar. As I was preparing my slides today I noticed the microphone icon in the search box on the Google search page and thought I should give it a whirl. The first question I asked was "What is Genealogy?" I was rewarded with some results and a female voice reading me the definition at the top of the results page. Well done Google. I then tried GeniAus as a search term, Google was not able to cope with this or with a search for the Pusell name from my ancestry. I guess GeniAus and the Pusell family don't rate too highly in the Googlesphere. I carried on with searches for terms that might be more recognisable to Google like Hornsby, Sydney, Cobar (Place names) and general terms like Family History and Genealogy. Google recognised all of these. I did an image search for the Parramatta Female Factory and that also came up trumps. I may have to review my Google search habits. Google support tells me "You can speak instead of typing into any text box that contains this microphone icon " but one of my fave bloggers Amit from Digital Inspiration told me in a post (when I was holidaying last year so I didn't read it) about "Dictation v2.0, a web-based speech recognition app that will transcribe your voice into digital text using the Chrome Speech API. " He goes on to say "Getting started with Dictation in simple. Just plug in the microphone to your computer, click the Start Dictation button and watch as your spoken words are magically transformed into text. I'll have to see if it works with Google Drive. Guess what GeniAus is going to do for the rest of the afternoon? I'll report on my investigations anon. On a day my cruise ship was in port I stayed on board and watched some of the live-streamed Rootstech sessions in solitary confinement in my cabin. Thankfully some of my Twitter pals were online and I was able to discuss those sessions with them. I just wish that I would have been able to watch more live sessions but once the ship left port there was no hope. I was able to don my Rootstech tshirt and join with fellow cruisers to watch two recorded sessions that the Rootstech organisers had made available to Unlock the Past. The first session we watched was a very basic talk on organisation by a lady whose name escapes me, while there was nothing wrong with this talk it wasn't the sort of session that would encourage people to think that they should run out and book a flight to Rootstech 2015. The second video we watched was Judy Russell's keynote and that was superb. It got everyone who watched it on our genealogy cruise thinking and talking and was a perfect vehicle to showcase the Rootstech Conference. 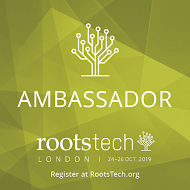 Having missed this year's Rootstech I am determined that I will return in person in 2015 and to that end I have already booked my airfare to LAX for the first leg of my journey (one has to get in early to get an international fare from Australia on points). This year I accepted the Rootstech organisers' invitation to be an Official Blogger for the event but, although I managed to fullfil my duties (except for the days I was at sea and internet access was very flaky) I found it difficult to become as enthused about Rootstech as I have been when I knew that I would be attending. I do hope that I am able to be an Official Blogger in 2015 and have the opportunities that come along with the gig for those who attend in person. I just love being able to conduct video interviews with genealogy personalities in the Media Hub Fishbowl. I have fallen disastrously behind with my entries in The Book of Me Blogging Challenge but I am determined to get back on my bike and catch up. To that end I am entering all of the prompts I have missed into Blogger as drafts and I hope that I can catch up with them over the coming months. Today's prompt on Technology is right up my alley so it will be a good place to rejoin my Book of Me Journey. Judy Russell in her superb keynote addres at the recent Rootstech Conference emphasized the importance or recording our personal history for future generations. Watching Judy's presentation online from my cruise ship gave me a bit of a wake up call and reminded me to get back into blogging my stories. The Book of Me activity devised by Julie Goucher gives one such an opportunity. It's never too late to commence this activity so how about joining in and sharing your trips down memory lane? I should have had it recorded or videoed! Several months ago after Thomas MacEntee, Pauleen Cass and probably some others blogged about Ethical Dilemmas facing genealogists I pitched the idea of having a panel session on that topic on the program for the 4th Unlock the Past Genealogy cruise. Alan Phillips liked the idea and added it to the program. My role was quite simple really, I had to think up a few questions/problems, invite some panelists to join the panel, put together a bit of a powerpoint and moderate the session. The panelists I invited were Mixing it up - Effective from my social media contacts that I knew would be on the cruise; from the work they do in the genealogy world I knew that they were top-notch solid performers. I was thrilled that Pauleen Cass, Kirsty Gray and Maria Northcote agreed to join me as panelists. I am just kicking myself that I didn't record the session as I would love the opportunity to sit quietly, listen and mull over the contributions made by the panelists. As I was busy watching the clock and being nervous I wasn't able to concentrate on the session content as fully as I would have liked. A recording of the session would have been a useful resource for sharing with the wider genealogical community. After the session I received many compliments, this was due to the quality of the panelists and the format of the presentation which allowed panelists to bounce ideas off each other. I encouraged some audience interaction during the session and that gave more people opportunities to add to the conversation. I believe that at such events we need more interactive sessions and more opportunities for group participation than that offered by the lecture or "chalk and talk" format. Someone said to me in an email I received after the panel session " I particularly enjoy conference sessions when there is a bit of interaction so the more sessions like the panel type session, the better." I realise that "the sage on the stage" approach is necessary when an expert has new knowledge or information to impart but it would be refreshing if conference or event organisers could mix up the type of sessions on offer. Our individual learning styles need to be accommodated. By adding in more panel sessions, Q&A sessions with an expert and moderator, hands-on workshops (BYOD), poster sessions, sharing circles, jigsaw groups and team games eg Genealogy Trivia a program can be made more interesting. The Bingo method that was used so effectively by Maria Northcote in her podcasts session on the cruise kept the audience engaged and on their toes throughout the talk (and it was fun). So how about it organisers of genealogy events? When you are programming your next event try to add a little bit of variety. I must get my act together for the Ku-ring-gai 2014 Seniors' Festival as I will be presenting two workshops on the program. Firstly on Wednesday 12 March my topic is Sharing Your Story In Small Bites: Write a Blog. Should you wish to join me in the Gordon Library Meeting Rooms for this event please contact The Ku-ring-gai Historical Society for bookings: Phone 02 9499 4568 between 10am-2pm or email: khs@khs.org.au. On the next Wednesday 19 March I will be talking about Free Websites for Genealogy and History. The venue for this talk will also be the Gordon Library Meeting Rooms. Hopefully I can convince a few community members of the benefits of blogging and show them some websites that might help with their research. I am looking forward to meeting new enthusiasts at these events. Now I need your help. I have many fabulous genealogy related websites that I often highlight in my talks and I also follow some pretty special travel and niche blogs. During my talk I want to highlight not only genealogy blogs but other interesting and quirky blogs that tell stories. I have a few faves (many written by genealogists) but would appreciate suggestions. If you were in my shoes what super story telling blogs would you share. I returned from the Unlock the Past Genealogy Cruise all fired up. During the cruise I spent a lot of time poring over my database on Family Historian and realising how much of my early work was unsourced. I made a commitment to go through my database and to start adding sources where they were missing, I would not look for additional information to add to my database until I'd made a reasonable effort with this task. I proceeded to look at my Australian family groups one at a time and start by adding birth, death and marriage references. All was going swimmingly until I was forced to indulge in a bit of tangential genealogy while going through my Kealy cousins. 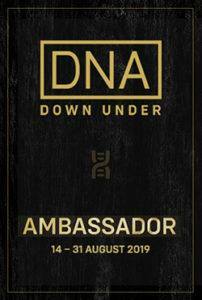 It struck me that many of their BDM events were registered in Dungog NSW and that I hadn't yet done a Trove fishing trip using the terms Kealy and Dungog. I have a set of searches I regularly do on Trove to see what I can find out about the ancestors by combining a surname with the name of the country towns in which people of that name lived. I hadn't done Kealy because that is my Great-Grandmother's maiden name and I have concentrated on the Grandparents' names. Silly Me. Pauleen Cass in her talk on the cruise told us to cast our nets wide and I sat there and nodded thinking "that's what I do". Well after I strayed and did my "Kealy Dungog" search I realised that I hadn't spread my net out far enough. Trove came up trumps once again by serving up a host of articles about the Kealy family some of which mentioned my direct ancestors. I had a picnic downloading articles to read and dissect for family facts. My father used often speak of his Uncle Herb who "had the pub at Byron Bay that burnt down in suspicious circumstances". There were many references in Trove to Herb and his visits to Dungog but as some of the articles are not yet on Trove but are coming soon I will have to wait until I get an email from them to tell me they are available. So just four days after the cruise I broke my resolve and it's all the fault of Trove. 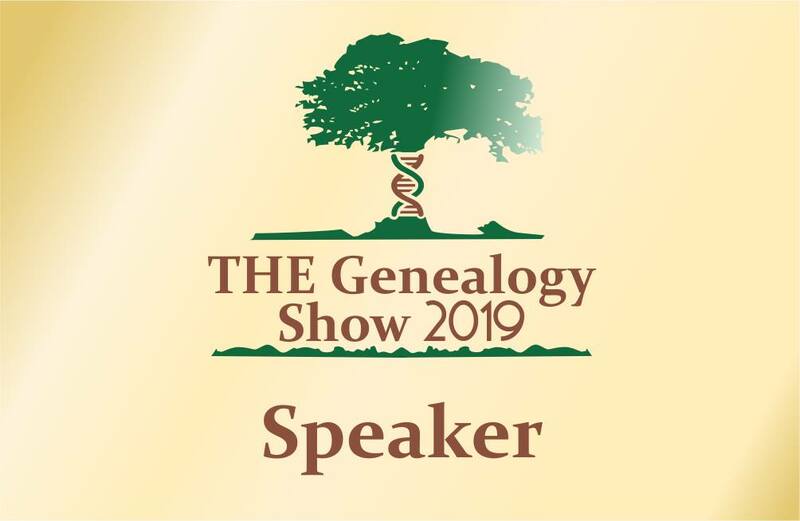 In this interview on the 4th Unlock the Past Genealogy Cruise I chat with Lee-Ann Hamilton, one of my geneablogging mates at The Pear Tree Cottage Blog. One of the pleasant tasks I undertook on the recent Unlock the Past Cruise was to host a couple of Google Hangouts on Air and to conduct a few interviews with cruisers. In the first video I interviewed several cruisers in one hit but,on viewing it, realised that having people hop in and out of the interview seat was a little problematic. I then suggested to the congenial Mr Unlock the Past, Alan Phillips, that it might be better if I conducted a series of short interviews. Alan agreed so I made a date with our young camerman, Lachlan, and proceeded to find some victims to interview. I tried to select a diverse range of people. I hope you enjoy watching these short vidoes from Unlock the Past's Youtube Channel. My first volunteer was Geoff Doherty a serial geneacruiser who is interested in the Boer War. WARNING: This is a crankypants post. When I was teaching we drummed into our students the meanings of and differences between Questions, Comments, and Anecdotes or Stories. When we were giving a lesson and students interrupted with a question or comment we would respond to them immediately or say we would deal with it at an appropriate time during the lesson; if they launched into a long-winded anecdote that had little to do with the topic under discussion we cut them off with a "sounds like an interesting story, perhaps you can tell us about it later." What got up my nose on the recent Unlock the Past Cruise (but is not confined to that event) was the lack of manners of adults (who should know better) in the Q&A sessions towards the end of speakers' presentations. Some people asked relevant questions, some offered interesting comments and opinions and some launched into long-winded anecdotes that did little to enhance the subjects under discussion. I heard one woman tell the same story in two Q&A sessions and the poor presenters who did not want to be rude let her go on and waste that precious time we had for collaborative discussion at the end of talks. GRRR! The problem is that speakers are generally polite and do not know how to cut audience members off without appearing rude. What to do? My solution is simple. Please mind your manners and when a speaker asks for questions and comments during or at the end of a session please stay on topic. Most presenters, and especially those on the Unlock the Past Cruise are happy to speak privateyl with audience members after the conclusion of their formal talks. Please, save your stories for post-presentation chats. The problem with some of the anecdotes we heard in Q&A sessions on the ship is that they were neither short, amusing or interesting. My head is swimming after nine days at sea on the 4th Unlock the Past Genealogy Cruise. I had every intention of joining this cruise so after I booked when I found that one of the presenters was to be Family Historian expert and FHUG Site Administrator, Jane Taubman, I was especially chuffed. As a relatively new convert to the Family Historian software package I am still a novice and need all the help I can get. I learnt lots about the program from Jane in the six workshops I attended at sea and two subsequent ones on land but I doubt that I will retain much of this. More importantly I was convinced that I made the right decision in moving over to Family Historian. A software package that contains lots of data must give users many ways to retrieve and massage the data it contains. Some programs make it very easy to input data but extracting data in a palatable format can be a trial. Family Historian is excellent in this regard. Jane knows the Family Historian package inside out. Her style of presentation that wasn't scripted except for a short introduction was excellent. Jane taught us how to use the program with live demonstrations of the software's capabilities, she coped admirably with questions from participants and happily went off on tangents to address their particular needs. Jane was a patient and knowledgeable teacher with super problem solving skills and this is where she shone for me. Many people are able to teach but often they don't have the knack of taking a student's issue on board, mulling it over and coming back with a workaround or solution. There are one or two features that I miss from my old program. Jane went away, thought about them and returned the next day with solutions. What a lifesaver! I am anxious to get stuck into my research once more and further explore Family Historian. Mr GeniAus has agreed that I can take some time out of our trip to the UK later in the year to attend some of Jane's workshops at Dillington House in Somerset. By then I should have lots of further questions and may be even ready to start retrieving info from my database. For the moment I will concentrate on data entry and editing. Jane gave one of the most talked about sessions on the cruise to a nearly packed house. In her Snapshots to Photographs presentation she gave all the budding photographers present many tips to improve their images. As a snap happy person I really enjoyed the advice Jane proffered by using examples from her collection of photographs. What a visual treat we had. I am sure that I would have enjoyed the cruise without Jane but her presence was just the icing on the cake. ....well, that's not quite right. I'm actually back on Terra Firma after a fabulous nine days at sea geneacruising on The Voyager of the Seas. Sitting here in my cabin study it feels like I am at sea because my home internet is playing up and there are things I mustdo. This reminds me of the frustrations of internet at sea but at least my home internet does not cost a bomb and charges by the byte not by the minute. 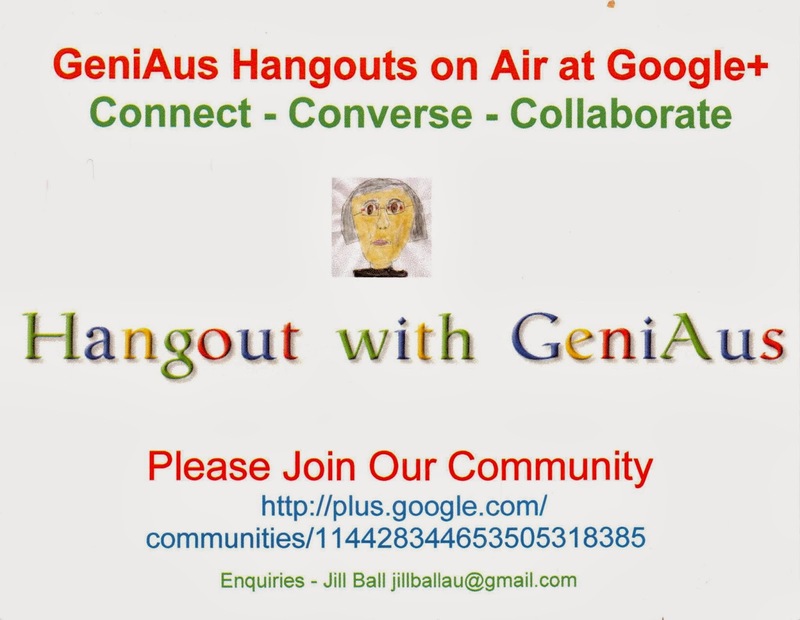 I hope to churn out a few blog posts over the next few days and plan a GeniAus Hangout on Air real soon but firstly I need to mind my manners. There were some people on the cruise who particularly enhanced my cruise experience and they deserve personal thanks so I am off to send out a few thankyous. I will then return to my regular blogging perhaps with topics around Questions and Statements, Many Heads - Meatier Results, A Holiday Inn Cruise Experience, Names and Faces, Is Social Media ****? The Problem Solving Presenter, Data in Data out and Failure at Rootstech. And of course I must start planning for my next geneacruise. Today finds me in Hobart on board a a modern cruise ship, The Voyager of the Seas, learning about genealogy with over 240 other family history enthusiasts from the Unlock the Past crew . Wondering what Trove could tell me about cruising on modern ships I entered the search term "modern cruise ship" into the newspapers search there and selected the following items to share. What a coincidence that the ship in these articles was also in Hobart. This photograph shows portion of the writing-room of the Cunard- line s.s. Franconia, which is due at Honart on a world cruise today. The Franconia is one of the most modern cruising ships in the world, and, is employed almost exclusively in that service. The Cunard . 20,000-ton R.M.S. Franconia, which with nearly 400 British and American tourists aboard, is due at Hobart early this, morning ; The Franconia, which is a sister ship to the Carinthia, is chartered to Thomas Cook and Son for this cruise. As soon as we arrived in port I phoned Mr Geniaus and said that I couldn't decide if I should get off the cruise ship to see Hobart. He suggested that if I didn't have cabin fever I may as well stay on board. As I have lots of genealogy work to do and I have visited Hobart on a number of occasions I took his advice and have remained closeted in my cabin since we docked. I don't feel confined as I have my balcony door open. I have a fresh breeze wafting in and I am able to see the city and Mount Wellington. I just spent twenty minutes recording a Hangout on Air that relates my experiences of the last two days. Unfortunately although it appeared that the video in the hangout was recording it does not appear on the recording. Don't you just love technology? If you would like to hear my recording you can do so from here. No matter where I go on the ship I bump into a fellow genie. Patrice from Victoria is enjoying some quiet time in the ship's library prior to our presentation this evening. Laziness has taken over again and, instead of typing a report on Day 4, I have recorded a Google Hangout on Air. Tessa Keough on Google+ this morning challenged me to talk about the genea business cards I have collected so far on the cruise so I took up her challenge and discussed them in the video I recorded. Already 44 people have watched the first Hangout I posted from the cruise so I guess that it is a medium that people appreciate. This afternoon I am hosting a Hangout on Air for Unlock the Past in which I hope to interview some cruisers and presenters whom I have met on board. Shortly I am going exploring around the ship to find a suitable location as the internet connection in the Conference Center is not strong enough to support a Hangout. I had thought of going out on deck somewhere but the wind is whistling and making a terrible racket so indoors will be the best bet. Apologies that at about the 12 minute mark the following video got patchy (blame Telstra) but PLEASE persevere as the quality improves after a few seconds. I've settled down in my cabin on board "Voyager of the Seas" and have tuned into the Rootstech live feed. I started to watch some person, Carolyn, give a presentation that is really an informercial for a product she is selling. I found this rather disappointing as I was hoping to hear from someone who 'does' genealogy not someone who is pushing a particular product. Carolyn then disappeared from my screen and was replaced by a sponsor ad. Now what I am seeing is a Rootstech graphic. Maybe I should have gone ashore in Adelaide but, as an Official Rootstech blogger I felt as though I should stay on board ship and join the Rootstech party via the livestreamed videos. 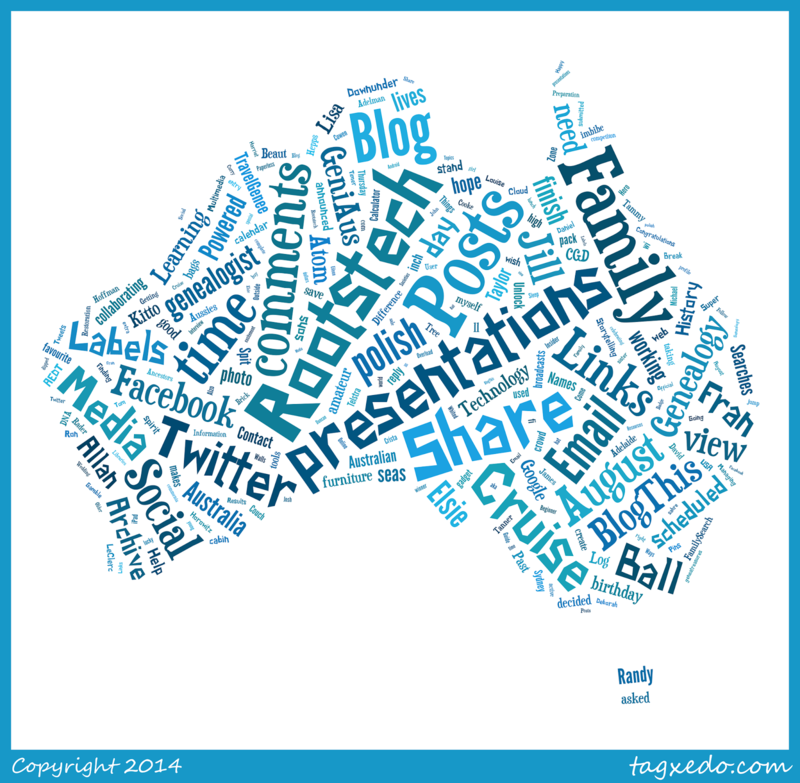 If you want an Aussie perspective on what's happening at Rootstech then you should read the latest blog post from Fran who was the winner of the free Rootstech registration in my recent competition. Also doing a wonderful job of keeping me (and several million others) informed is my fellow geneablogger, Amy Coffin. As I was unable to connect via Webex to the pre Rootstech Media Dinner I found that Amy's stream of Tweets kept me informed and made me feel as though I was in Salt Lake City with my geneablogging mates. I have my Rootstech tshirt here with me on the ship and will be donning it for our Rootstech function tonight. The folk from Rootstech have made a recording of some of the sessions available to the organisers of our Unlock the Past Genealogy cruise. I hope that we have more luck when we gather to watch the recording tonight than I am having from my cabin right now. Sailing along the southern coast of Australia I'm wondering if I can get this posted before I lose internet access via my Telstra wi-fi gadget. I woke naturally this morning after sleeping like a log and decided that, as I had several geneatasks that I needed to accomplish, I would stay on board the ship instead of doing some touristing in Melbourne. The sail in this morning was most attractive and I found that I took around 100 snaps as we approached Station Pier. I opted for a leisurely breakfast in the Dining Room and was delighted to see Eggs Benedict on the menu and it was the best meal I have had so far on the ship. On Conference Days I cannot afford the luxury of a proper breakfast so I take the option of a grab and go meal. I escaped from the cabin to grab a coffee when the steward came to do my room and found Kath and Joan from Victoria in the Coffee Shop, they had also decided to hang around and 'do genealogy', naturally I had to chat with them for a while. I was interested to learn about the free resources that their society in Bendigo has shared on its website and of the great work members are doing in indexing local resources. I accomplished quite a bit during my enforced solitary confinement in my cabin (including a successful Google Hangout) and rewarded myself with lunch around 2pm. By this time the tourists were starting to return to the ship so I spent quite a while chatting with old and new friends as they stopped by for a bite of lunch. I find this casual networking aspect of the cruise/conference experience so valuable. Next stop was the conference centre for the Software Special Interest Groups and Research Help Zone meetings. Groups convened to discuss Family Tree Maker, Legacy and Family Historian; Jan Gow seemed to have quite a large following for her Legacy session. I found myself quite busy (and feeling rather impotent) as I was the only speaker available in the research help zone where several of the questions were out of my league or area of expertise. I was, however, able to suggest names of those who would be able to help. Thanks to Margaret Doherty and Jackie van Bergen whom I grabbed to help with a couple of queries for their assistance. Tonight's panel on the future of genealogy hosted by Thomas MacEntee was engaging as the four panelists had differing opinions on some of the issues raised. It was a very lively discussion around a series of questions posed by Thomas. I was pleased that three of the four panelists, Shauna Hicks, Chris Paton and Kirsty Gray saw the value of using social media for genealogy purposes while still emphasizing the importance and value of traditional records and research methods. What I found particularly exciting today is that several people have approached me to learn about blogs and blogging. If I can find a quiet public area on the ship when in port I have promised to teach them how to set up a Blogger blog. I was pleased that I stayed on board as I met some lovely new people including a delightful couple from South Africa around the ship today. Getting my tasks done and having plenty of time for informal discussions in a less crowded environment made for a super day. Instead of typing up a report on yesterday's cruise activities I scheduled a Google Hangout on Air. I was thrilled that Tessa Keough from The US joined me. This busy bee hasn't got time to type too much so I'll post some pictures to tell the story. I'll be doing a Google Hangout on Air to tell you about my experiences. Coffee with Marg from W.A. In one of my crankypants phases the other day I shot a message on Twitter off to @Kiama Library as they had posted a list of blog posts like the group below that they sent out yesterday. I find it annoying when these automated posts appear on my Twitter stream all in a row (there were about six the other day) and wish that those responsible would combine them into something like "We just posted a series of fabulous photos to Facebook. Please take a look at ........". Surely one Tweet would have more impact than a series of similar posts that are repetitive (and boring?) and a trifle SPAMMY. This whinge is along the lines of what I posted the other day about a similar practice on Facebook in a post entitled "How much is enough?" I must acknowledge the @KiamaLibrary's Sunday tweeter who sent off polite and hasty response to my tweet. Thanks you for your good natured response to my suggestion. I've been a little bit nervous. I ordered some business cards, stickers and postcards from Vistaprint to take on the cruise a couple of weeks ago and they hadn't turned up by last Friday. My previous orders from this company have arrived early so as it was over two weeks since I ordered them I was in panic mode. 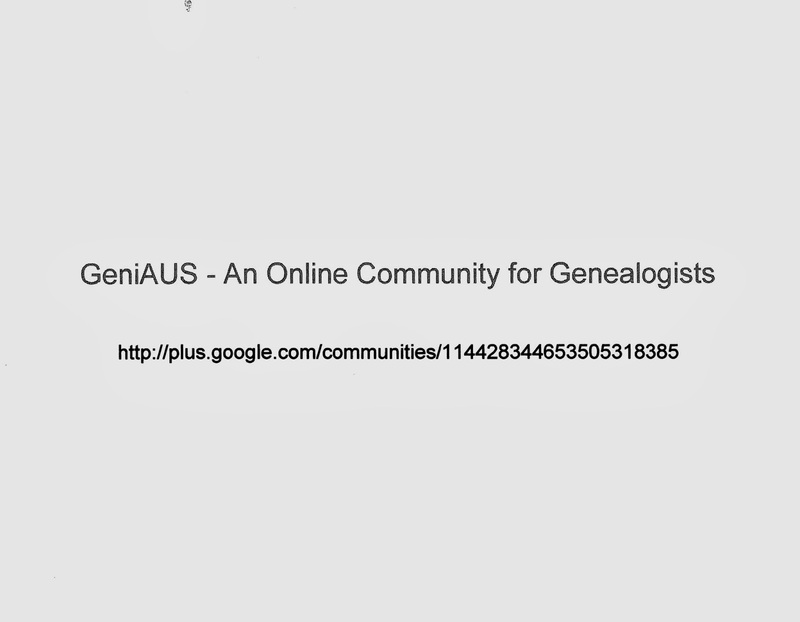 You see I am rather excited about Google Hangouts for Genealogy and I wanted to promote my GeniAus Hangouts on Air when I give a talk on the subject. Just in the nick of time they arrived this afternoon. Phew! I think the postcard (below) looks rather spiffy and I'm rather pleased with my 3Cs (it took me a day or three to come up with them). Every so often I create a Wordle. Today I decided to create a word cloud from the words that appear on my blog using a different tool, Tagxedo. 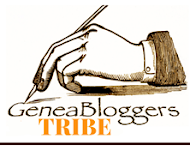 There were lots of options for formatting that I could have spent hours tweaking but as GeniAus is an Australian blog I chose the shape below for my first attempt and didn't play around much. The furniture in my home is in need of a good polish. I can't say the same for my presentations for the 4th Unlock the Past Cruise, they are being polished to within an inch of their lives. I just can't seem to say "that will do". One of my sons asked me today, when I said that I had to get home to finish off my presentations, "How many do you have to finish?". My reply was that they are all finished but that I am still working on them. As I need to pack my bags and do some work around the house I have decided to save and back up all except the presentation that is scheduled for the first morning of the cruise. I will go through "Beaut Blogs: what makes a blog stand out from the crowd?" just one more time and then I'll call it a day. Time Zone Converter – Time Difference Calculator to convert the times of the presentations into Sydney time (AEDT) and create a calendar for myself which I am sharing here for other Aussies who may wish to imbibe some of the Rootstech spirit. I may not be able to view those that are scheduled on sea days but I am taking my new Telstra 4G wi-fi gadget with me so I should be able to view some of these from my cabin while we are in Adelaide. ...Fran Kitto aka TravelGenee from Australia. Fran who is active on Google+, Twitter and in the geneablogging world submitted her post Preparation for RootsTech for a First Timer as her entry in the competition and it was the lucky one to jump out of GeniAus' hat. Congratulations, Fran, you will now have a few extra dollars to buy some of the geneatreasures on sale at Rootstech this year. I hope you have time to sahre your Rootstech excitement via social media.